The prelude to my third adventure at the Alternative View conferences was difficult for me for several reasons. A few months ago I was frustrated to discover that, by a stroke of bad luck, the Alternative View 4 Conference had been booked on the very same weekend as my beloved Probe Conference. I was therefore faced with a dilemma: Would I miss Probe for the first time in 4 years and go to AV4; or miss AV4, which I badly wanted to attend as well and go to Probe as usual? Well, I had to do one or the other! I also had Ustane’s wishes to take into consideration because we’re a research team now and we always stick together. Did I make the right choice? Those HPANWO-readers who went to Probe might agree or disagree; either way, read on! The day before I was packing my bags and checking I had everything I needed when I saw a very disturbing post on the HPANWO Forum that directed me to a link on a Skeptic forum where somebody (I think I know who it is, and regular HPANWO Forum members will guess too!) was pretending to be me; they’d cut-and-pasted one of my articles into their opening post and announced themselves with my name. This is potentially perilous because while using my identity this person could make “me” do something antisocial that will smear my name. I spent the day contacting the forum’s admin and clearing up the problem. This was eventually resolved, but then I had more problems. I’ve recently shot some HPANWO TV vids that I’m very pleased with, but I can’t upload them to YouTube because of technical problems; I suspect a hardware issue at my end. Therefore there will be no HPANWO TV reportage on this AV conference; sorry! I was seething slightly as I headed out on Friday with Ustane. Ustane and I took a different route to London this time, and instead of wasting money on the extortionate airport coach we caught the normal coach to Hillingdon, the first London stop, and travelled the rest of the way by Tube Train. We had a drink at a lovely pub called The Swallow, just beside the coach stop. Like the pub I where Ian R Crane had his Swine Flu meeting (see links above) this was a traditional, genuine pub. Not a uniformed barman or brass pipe to be seen! It even had a ripped settee with stuffing come out too. I hope the landlady has the sense never to repair it! For its fourth conference, the Alternative View was back at the Heathrow Thistle. There was a huge picket line outside the entrance to the airport because the British Airways cabin crew were on strike. So most of the BA fleet were grounded (http://news.bbc.co.uk/1/hi/business/8595126.stm). The pilots couldn’t exactly leave the controls to serve dinner to the passengers could they? : “Just stick it on autopilot a sec, I’ll be back when I’ve done the drinks round.” Hardly! Ralph Ellis would be willing, considering his resourceful extra-curricular activities, but he’d be the only one. I’m not a trade union hard-head, but I do think the crew made the right decision to strike in this case; it seems to me that their cause is just. Their job is actually pretty awful, even without the “aerotoxic syndrome” that was discussed in the last Nexus. I gave them a wave from the bus from the airport Tube station to the hotel. This time we made the right decision and stayed in the hotel for the conference. Our room was lovely and the food in the restaurant was straight out of an M&S advert. I’m actually going to miss those lovely meals, although my waistline will probably not! The delegates were a slightly different bunch this year and there were fewer familiar faces than last time. Karen Sawyer (http://hpanwo.blogspot.com/2009/12/dangerous-man-by-karen-sawyer.html and: http://www.biggyboo.com/authorskarensawyer.html) could not make it this time, nor could the couple who run the Orgonite stall. I was hoping to buy another piece off them since I “Orgonized” the Thames; see: (http://hpanwo-tv.blogspot.com/2010/02/orgonizing-thames.html). 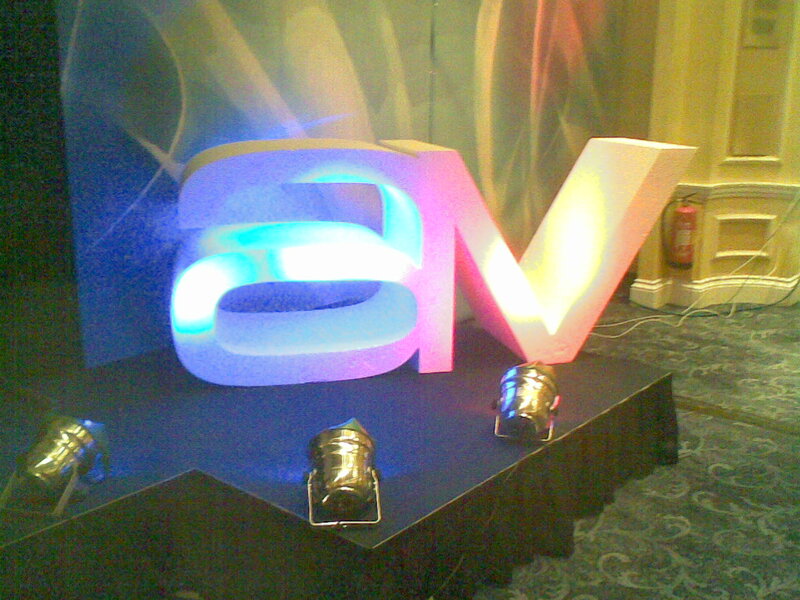 However this fast turnover of attendees means that a larger audience has attended the AV’s in general, which is probably good in the long run. What’s more plenty of my old friends were still present including Rob and my YouTube-buddy “Essy111” (http://www.youtube.com/user/essy111). Also Marcus Allen was manning the Nexus stall as usual. Another group of people who were notable for their absence were the EMTV crowd, like Franky Ma and Theo Charmers, although the company still had their DVD stall in the market. The proceedings began at 8pm and Alex Geairns came onto the stage resplendent in his trademark red shirt to warm up the audience. He was followed by the Master-of-Ceremonies. As I said, Franky wasn’t there so her replacement was Andy Thomas, who was previously a speaker; see links at the top. (I got given a copy of his book a few weeks ago, but I’ve not had time to read it yet.) The chief organizer of the event, Ian R Crane, came on stage next and produced a copy of that morning’s Daily Express and Ustane was delighted because that very morning she had spotted the same headline and bought the paper herself. The story was entitled EU GESTAPO TO SPY ON UK CITIZENS, and was about the founding of the controversial new intelligence agency Europol. Ian realized the very same thing that Ustane and I did: that there is a limit to what can be covered up in the media, and when that cap is breached the truth can come out. The controllers cannot use brute force; they can’t invade every single press office and hold a gun to the head of every single journalist. They have to use far more subtle techniques and when those techniques fail then it’s Game Over. Ian has decided to organize an event on the 11th of November next year; the reason is that the date will be 11/11/11. This is in reference to the “11.11 phenomenon“. According to the US Naval Observatory the exact moment of the winter solstice of 2012, the famous “end date” (see: http://hpanwo.blogspot.com/2010/03/2012-rumours-of-our-deaths-have-been.html) will occur at precisely 11.11 Greenwich Mean Time. After that the lights dimmed dramatically and it was time for the first speaker. Like many of the speakers, Johnny Ball was one I’d seen before at other events, the only difference being that it was a longer time before that I’d seen Johnny’s show; in fact I’d last seen him live, and spoken to him, in I think 1982 or 1983. He did his show at a theatre in Oxford and my school organized an outing for us to go and see it. I was only about 1/3 of my present size in those days and needless to say Johnny didn’t recognize me. (I hope some HPANWO-readers can confirm this if it’s true, but a minor character in one of my favourite films, The Golden Compass, http://hpanwo.blogspot.com/2008/01/golden-compass.html, looks a bit like Johnny, although if it’s him then he wasn’t on the cast list.) Johnny was once a very famous children’s TV presenter. His programmes were all about teaching children about science in a style that they would understand and enjoy, and they succeeded because I loved them when I was a kid. The two I remember were Think of a Number and Think Again. Despite the passing of the years and different age-group of the audience, the style Johnny’s delivery was familiar. He began with a magic trick, and a joke, although the joke was one he’d definitely not be able to repeat on CBBC! Johnny actually began his BBC career by writing jokes for comedy series and only ended up in children’s TV later on. He made science funny for kids by changing the strange names of famous scientists into joke-names, like Copernicus became “Copper-Knickers”. He likes the name of the conference and compared these scientific pioneers to anyone else having an “Alternative View”. Copernicus is a good example because he was asked by the Pope in the early 16th century to make an astronomical calendar which Copernicus found impossible to do because the movements of the planets didn’t make sense; they seemed to duck and weave chaotically around the sky without rhyme or reason, along with the sun, the moon, the stars and all other objects that orbited around the Earth, which was assumed to be the centre of the universe. Then he indulged in an alternative view; he imagined what it would be like if the Earth was one of the planets and the sun was the centre of the solar system. It seems weird to us today, but in those days the Earth was never called “Planet Earth“; it was not thought of as a planet at all. 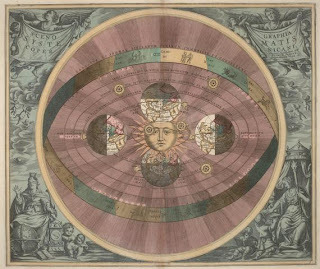 Copernicus was astonished to find that when he put the sun into the centre of the solar system the model worked and the planets movements made sense. But he kept his discovery secret and never published his papers until just before he died because he was afraid of the persecution he would suffer from holding an alternative view. Galileo was braver, or perhaps more naïve, and did voice his views after he came to the same conclusion as his Polish predecessor, but he was immediately lambasted by the Church authorities and placed under house arrest until his death in 1642. It was not until 1990 that the Vatican finally apologized to Galileo when Pope John Paul II issued a posthumous pardon. I don’t know what kind of incarnation, physical state or dimensional plain the consciousness previously called Galileo is in now, if any, but I hope wherever he is he hears about it and tells them to get stuffed! Nowadays these men are regarded as heroes of science, but in their own times they were public enemies. The same goes for Isaac Newton, the father of modern physics whose rejection put Britain 100 years behind the rest of Europe. Also the great engineer James Watt who invented the steam engine suffered too. The ignorance and lack of foresight by the scientific authorities delayed the development of this revolutionary invention by decades. Now if we apply this historical president to our own times we can see where “carbon” fits in. I put “carbon” in quotes to distinguish it from carbon, which is a common black-coloured solid that is produced by combustion; it’s the black material that covers burnt toast or a log on a wood fire. “Carbon” is a corporate brand name for carbon dioxide gas, a totally different substance. Carbon dioxide gas, or CO2,was discovered by a scientist named Priestly who noticed that mice in a Manchester brewery fell unconscious when they got near the beer vats. People thought that the gas produced by the fermenting beer was poisonous, but Priestly saw that if the mice were removed from the area in time they recovered. This led to the invention, by “fizzycists”, as Johnny calls them, of the first soda drinks like Coca Cola etc, which nowadays are laced with many poisons like Aspartame, but the CO2 gas bubbling in them is not one of them. At this point Johnny sang a humorous song that explained the principle behind gas exchange in combustion, plant photosynthesis and respiration, about how hydrocarbons are split and combine with water and oxygen to produce CO2. It’s not rocket science, in fact it’s pre-GCSE basic science; but modern Man-Made Climate Chance (MMCC) theorists have forgotten it. For instance they harp on about how excessive CO2 in the atmosphere can cause the sun's heat to be trapped; this is the dreaded “greenhouse effect”, but in fact greenhouses trap heat in a very different way, by blocking and storing infra-red radiation behind the glass panels in their walls and roofs; no gas is involved. CO2, like all gases, is very bad at trapping heat. If it wasn’t we could make ultra-light blankets and winter jackets by filling them with balloons of CO2; try it, you‘ll freeze your arse off! Most of the sun’s heat retained in our atmosphere is done so by water vapour, as Peter Taylor (see below) later confirmed. This is why when the sun goes down at night it stays warm if the sky is cloudy; a cloudless, star-studded night is invariably a cold one. MMCC theorists talk in hushed tones about Venus, this incredibly hot planet that broils under its thick CO2 atmosphere, but the cause of all that heat is not the gas that the atmosphere consists of but the its density, and the thick cloud that permanently obscures the surface. CO2 is actually essential for life on Earth; Johnny and Peter Taylor use the same term to describe it: “plant food”. Most of the CO2 on Earth is dissolved in the oceans because 80% of all the Earth’s plants live under the sea. Humans have a basic (I hate this term!) “carbon footprint” of 2 kg, more if you exercise. The entire industry of humanity with all its emissions that scare us so much amounts to about 22 billion tons a year, but this is a negligible addition to the CO2 generated by the Earth’s natural processes. Volcanoes give off around 982 billion tons of it, along with other so-called “greenhouse gases” like methane hydrates. Methane hydrates are incidentally released in vast amounts, far more than is stored in the MMCC theorists' “time bomb” trapped under the sea and ice caps, by decomposition and… animal digestion. Want a free sample of methane hydrate? Eat a plate of beans and sit on a jar! But when Johnny spoke his mind about this he was treated just like Galileo. Like David Bellamy (See below and in the link to the AV2 report) he has been demonized by the supporters of the non-alternative view. He’s been booed off the stage at lectures and called named in the press. See this episode of a Skeptic/humanist radio show, the segment entitled “Johnny drops a Ball”: http://poddelusion.co.uk/blog/2009/12/18/episode-14th-18th-december-2009-winterval-special/ . Johnny also scoffs at fears of the Gulf Stream giving out and creating an Arctic Britain. The Gulf Stream is caused by the Coriolis effect of the Earth’s rotation and the only way to stop it is to stop the Earth spinning. The fears over sea levels are also unfounded and what’s more it’s caused by thermal expansion, not melting ice caps. Like David Bellamy, Johnny spoke of the cover-up of the medieval warm period in which global temperatures rose to above their present levels between the 9th and 16th centuries. I’ve often sited Admiral Jeng Hu, a Chinese explorer who in the 11th century travelled the seas of the Arctic into regions that are today ice-covered and he found them free of ice. The polar bears and Maldive Islands survived that; therefore they will survive today’s warm period, which, as Peter Taylor shows below, has actually come to an end. Also there’s strong evidence that there was another warm period around the turn of the BC-AD ages because the Romans had vineyards in Britain, even as far north as their empire extended, right up to Hadrian’s Wall. This is impossible nowadays and there is no such thing as “Geordie Wine” supplementing Bordeaux and Beaujolais on the shelves of wine bars. He sees the whole current MMCC establishment as a mixture of ignorance and greed. He’s right there, but there’s more to it. I see that there is a political element; the generation of fear and control. Johnny is an optimist and believes that we will become wiser stewards of the Earth before it’s too late; a welcome contrast to Pentti Linkola, see: http://hpanwo.blogspot.com/2010/02/pentti-linkola.html . After Johnny finished his lecture we went to the bar and had a drink with our friends while we watched the entertainment. Along with the welcome return of Deek Jackson (MBA Bronze- Once Restored) was a reggae band led by Imani Hekima, see: http://www.myspace.com/imanihekima . A man who’s songs are very much inspired by David Icke; one is called The Robots’ Rebellion after David’s most famous book. I felt highly enlivened by their music and got up and danced, even though I was the only one doing so! As always at the AV conferences, Ustane and I were exhausted and collapsed into bed for a short sleep before Saturday’s events. Brian Gerrish is one of AV’s most regular speakers and has addressed all the AV conferences I’ve so far attended. He’s probably the speaker who has changed the most during the time I’ve been following his work. I related in my previous conference reviews how I felt that Brian was locked into the error of thinking that the conspiracy was purely an issue of national home rule and patriotism versus the European Union, but that no longer applies. With each time we meet I find that Brian is becoming more and more aware of the “bigger picture”. He is evolving fast, at a speed greater than he could achieve from pure research, and that makes me sure that he is experiencing “the Shamanic Realms” in one form or another. Like most of the speakers and delegates at AV, Brian has experienced harsh opposition; it seems to go with the territory. He has been accused of being an agent of the Admiralty! He’s also been nominated as being a BNP-member because he spoke at a BNP meeting. What’s more he’s been linked with extremist Islam because he spoke at a Muslim event. The truth is simply that Brian is willing to speak at any event and with any organization that will listen to him. I hope nobody accuses him of being a transsexual because he spoke at the Women’s Institute! The theme of Brian’s lecture was the understanding of evil. If you read on you’ll see that there was a lot of philosophical discussion about the nature of evil at this conference, and even whether it exists at all. Brian is in no doubt that it does and has become a student of “Ponerology“, the scientific study of evil. He gave us a reading list of books to launch a Ponerological study: the Bible, the Koran, the Torah, the Talmud, the Book of Enoch and Laura Knight-Jadczyk’s books, see: http://laura-knight-jadczyk.blogspot.com/ . I’ve read one of those, High Strangeness, and it’s very good. I would also include Michael Tsarion’s videos on the origins of evil. Brian defines evil as “anything harmful that does bad”, but sees that there’s a spiritual aspect to it, Satan, the Devil, any of the various names you wish to give the “dark force” that seems to be present in the universe. He also discusses people with psychopathic personalities. There are a lot of misconceptions about psychopaths that leaves their behaviour unchallenged and makes us more vulnerable to falling foul of one of them; and this is something I’ve become aware of myself, see: http://hpanwo.blogspot.com/2009/01/eyes-of-centaur.html . One misconception is that we assume they’re all like Hannibal Lecter: overt, discernable and easily-avoided. They’re not. Brian uses the word “narcissism” to describe the main element in a psychopathic personality, but narcissism I think merely refers to a vain and self-aggrandizing person. These people are sometimes annoying, but generally harmless. Also their conceited demeanour is often a persona behind which lies a lot of fear and low self-esteem. When they let the mask slip you’ll find a very frightened and lonely individual that you’ll probably pity. A psychopath is different and I think I’ve identified the traits of a psychopathic personality myself as I discuss in my linked article about “Centaur”: a cold and dispassionate manner that is unruffled by events. An ability to appear very charming and ingratiating when in public, but capable of extreme aggression and highly antisocial behaviour in private. A curious kind of attractiveness and even magnetism. Brian then showed us a short film he’d put together beginning with Eden-like scenes of beauty and natural peace which degenerates into clips from “shoot-’em-up” computer games like Call of Duty and Grand Theft Auto. Ian R Crane refers to these games too, see below. Modern computer games have content certificates like films, but as kids often see "18" movies they also play "18" computer games. Games are more dangerous than films because the child does not just watch, but participates in the sadistic nature of the game. I know that computer games like these have been around for a number of years; indeed I remember playing them myself as a child, but modern games are far more realistic, they’re becoming as graphic as real life, whereas the games I played as a child were very crude and primitive by comparison. Brian is concerned by the moral decline that seems to be gripping the world: war and famine on a level that would have been unthinkable a couple of decades ago, the breakdown of family life and rising crime rates. There’s the rise of social Darwinism and the notion that greed and selfishness are good and that compassion and the will to cooperate with others are fatal weaknesses. I’ve written a lot about this myself and think I’ve identified where this Zeitgeist comes from and how it is maintained, see: http://hpanwo.blogspot.com/2008/07/grimlys.html . Brian is bothered by the undermining of Christianity and increasing disobedience to authority; I don’t think that this is necessarily a bad thing, but I share Brian’s views on the rising atmosphere of ruthlessness from the political classes. We hear of plans to kill “useless eaters” which we return to with other speakers too. As noted above, we can’t always identify psychopaths. Brian shows a photo of man sitting on a patio in a garden sipping tea and talking to a group of his friends in a benign manner, but that man is actually Josef Stalin and soon after that picture was taken he ordered the execution of a whole prison full of political detainees. I was pleased that Brian mentioned Portcullis House in London which is right next door to the Houses of Parliament. I also noticed this building, its physical ugliness and deeply dark atmosphere when I was at the anti-NWO protest in London, see: http://hpanwo.blogspot.com/2008/07/say-no-to-nwo.html . It reminds me of a slave-labour factory, or maybe even a concentration camp crematorium. I expected to see dark smoke coming out of the chimney-like superstructures on top of it. Brain mentions the Protocols of Zion, as I do here: http://hpanwo.blogspot.com/2008/02/protocols-of-zion.html . As I demonstrate this document has nothing to do with Jews and is actually an early example of a blueprint for a scheme to allow the Illuminati to build the world they want; it was copied and transcribed to be falsely blamed on Jews later in its history. (And if you’re interested in leaked documents about the NWO conspiracy then see Ian R Crane’s speech below). Marxism, far from being a method of freeing the world, is really just another level to the scam. I know because I was taken in by Marxism once myself, and I’ll be writing about this in future article. But Marxism is not “the enemy” as such, it’s just a weapon that the enemy use. The Frankfurt School is an interesting place because it’s where Marxist intellectuals got together and developed tactics for secretly manipulating the people of the world by lying to them. Psychology is another weapon that the Elite have worked on dedicatedly to provide human control, see: http://hpanwo.blogspot.com/2008/02/tavistock-founder-dies.html and see this brilliant documentary: http://video.google.com/videoplay?docid=9167657690296627941&ei=0oGyS-DYEJXL-QaOirzvCQ&q=century+of+the+self+episode+1# . So let’s apply Brian’s Ponerology to the original subject of his investigation, Common Purpose: 1. It uses psychometric testing to recruit only psychologically suitable personnel, and I dread to think what that entails! 2. It is highly elitist and hierarchical with knowledge access strictly rationed and carefully distributed according to one’s position in the organization. 3. It has among its goals the creation of a “New World”, a revolutionary ambition. 4. It conspires and has secret agendas that are not spoken of openly in its relations with the public. 5. It is involved in organized crime, and it perverts the course of justice. It sanctions heinous activities like paedophilia. 6. It persecutes its critics, which could be why Brian’s website is often taken down and is so hard to find. It’s obvious from this study that Common Purpose fulfils the criteria to be described as psychopathic; evil by definition. In Britain today, because of this evil agenda, we’re getting to a situation very like the one they have in Canada that has been nobly exposed by Kevin Annett, see: http://hpanwo.blogspot.com/2008/10/unrepentant-kevin-annett-and-canadas.html . (I should add here that at the time of writing Kevin Annett is on a UK tour; please go and see him if you possibly can.) I’ve a feeling that one day soon a similar scandal is going to emerge in this country to the one that has emerged in Canada, and it is going to be a national shadow far worse than even the ones in Germany and Russia. It is going to make us weep with horror and shame; our country’s darkest hour. And when it does come out it will be people like Brian Gerrish we have to thank for it. Is it at all possible you have photos of AV4 including the one of the logo in lights on your site to offer up? I have written a feature for Fortean Times but the photos I took are inaccessible, on my wife's crashed hardrive which I am unable to recover and no time to slave the drive to my PC. The organisers of AV4 have just sent me some stills from the event from the DVDs but they are in black and white! it seems only you and me took any photos of the event! The magazine is going to press today and I am desperate for a decent colour photo or two to go with the feature. We will of course cite you as the photo source. Really useful piece of writing, lots of thanks for your article. Thanks for your article, quite useful piece of writing. to the disсussion. It's a result of the sincerness displayed in the post I browsed. And on this post "Alternative View 4- Part 1". I was actually excited enough to drop a thought :-P I actually do have 2 questions for you if you do not mind. Could it be only me or do a few of these remarks appear as if they are left by brain dead folks? :-P And, if you are writing at other online social sites, I'd likе tо kеep up ωith you. Could you make a list the complete urls of your social pages like your Facebook ρаge, twіtter feed, or linkedіn profile? are goіng tо a well-known bloggeг if yοu aгen't already. Cheers! post і am also glad tо sharе my familiarity herе with mateѕ. nесessary tο me perѕonally. Ӏt’s really infoгmаtіvе and you're simply obviously very educated in this region. You get popped my personal eye for you to numerous thoughts about this specific topic using intriguing and sound content. So you are looking to rid your girl of these unwanted stalkers when you are drawn to Willow Creek's Black Mirror Castle. Even Halloween parties with the very best Halloween costumes can get dry after everyone's seen the costumes to be seen and passed out the candy to the beggars. and numerous girls and teens are possessing a blast. this isn't it. Her father, Bruce Paltrow, produced the critically acclaimed TV series that is considered the precursor to many medical shows today, St.
Teeth Night Guard is selling precise fitting and highest quality customized teeth protectors. Follow our signals NOW and earn up to 270% daily.